So what’s Oliv’s new value-add features? Gauthier asserts it’s one of the “fastest career experience in the world, built with the youth in mind.” The platform has an application tracking tool for candidates to track their programs for each step of the process, while employers are built a comprehensive applicant tracking system to manage various applications, set up interviews and hire, all in one screen. The startup is also introducing Oliv Academy, which consists of free video courses to nurture youth talent and assist with improving their applications. It also has a built-in messaging feature to manage communications and make launching careers more personal. The startup’s new name and tech was announced on its rebranding launch on April 4, at the Youth Hub in Jumeirah Emirates Towers, with UAE students and graduates in attendance, along with hiring managers from entities such as Maersk, Al Nabooda Automobiles, PwC, Beehive, RAK Bank, Dubai SME, Dubai Angel Investors, Danzas and APCO. It also held demonstrations of the new online platform and CV workshops. The startup has come a long way since its early days- it has had more than 150,000 screened university students and recent graduates, more than 1,000 employees hiring on the platform and facilitates over 1,000 interviews every month. 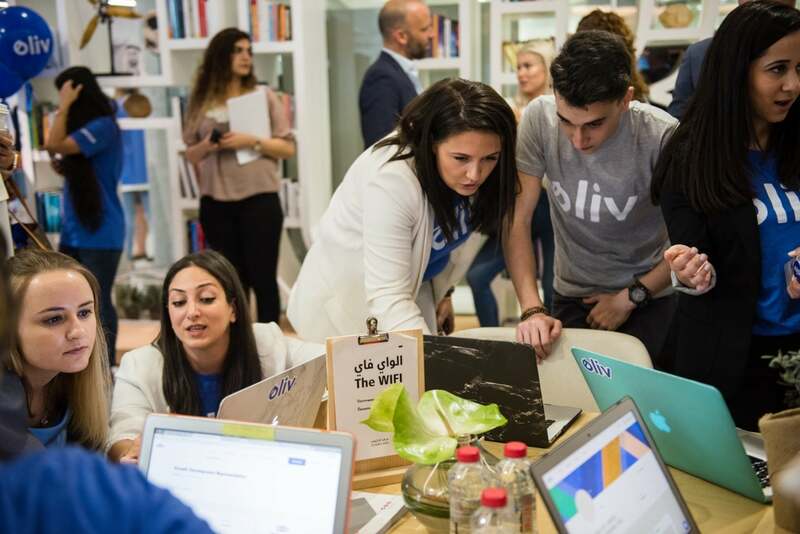 And it’s gained interest too- in 2017, it became the first recipient of funding disbursed by the Mohammed bin Rashid Innovation Fund, a AED 2 billion (US$549) million fund sponsored by the UAE government, with Oliv receiving AED 2 million ($540,000) in the disbursement.